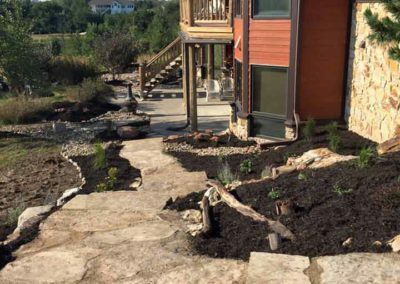 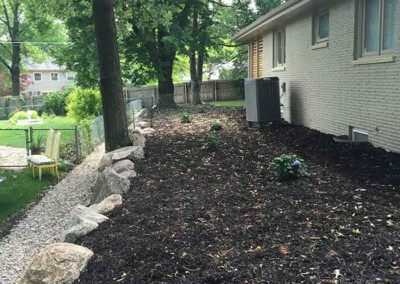 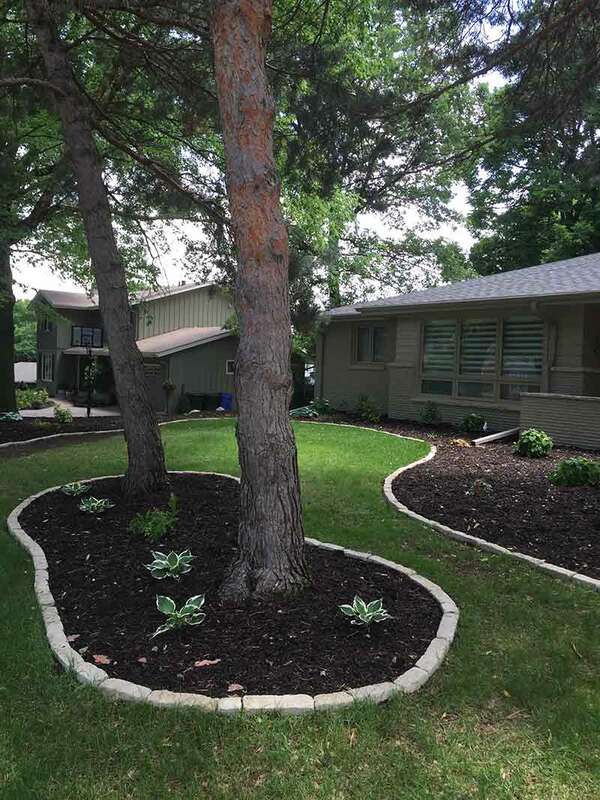 Whether you’re looking to fill out flower beds around your home, add mulch, or create a brand new landscape design, Woodys Lawn and Landscape can help! 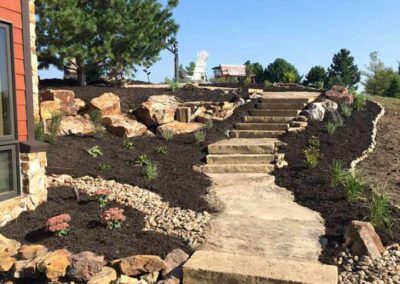 We provide landscaping services for residents throughout Lincoln, Bennet, Palmyra, Eagle, Hickman, and Firth. 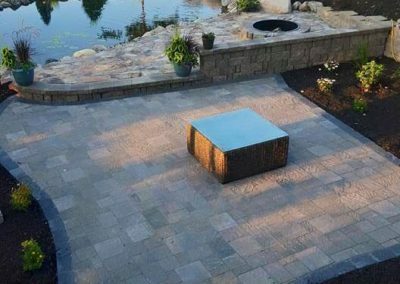 Our services follow the same process for every client we work with, no matter how big or small the design project may be! 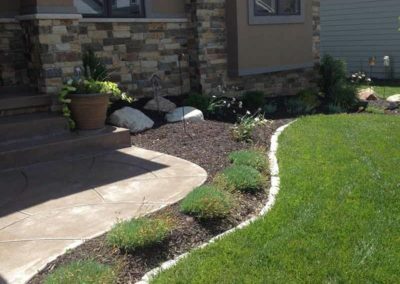 After our initial free consultation, our team will come out to your property to make an on-site assessment of the job at hand. 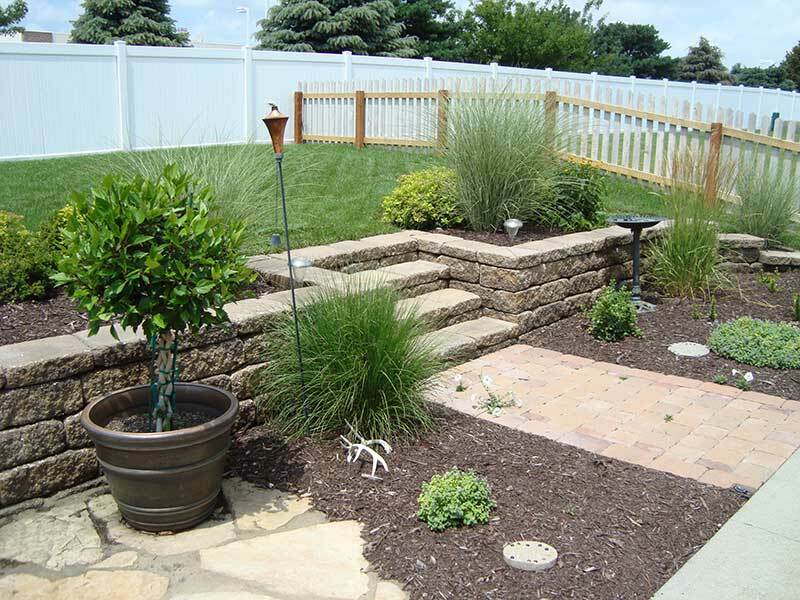 This includes exploring ideas with you and showing you just how exciting your new landscaping can be! 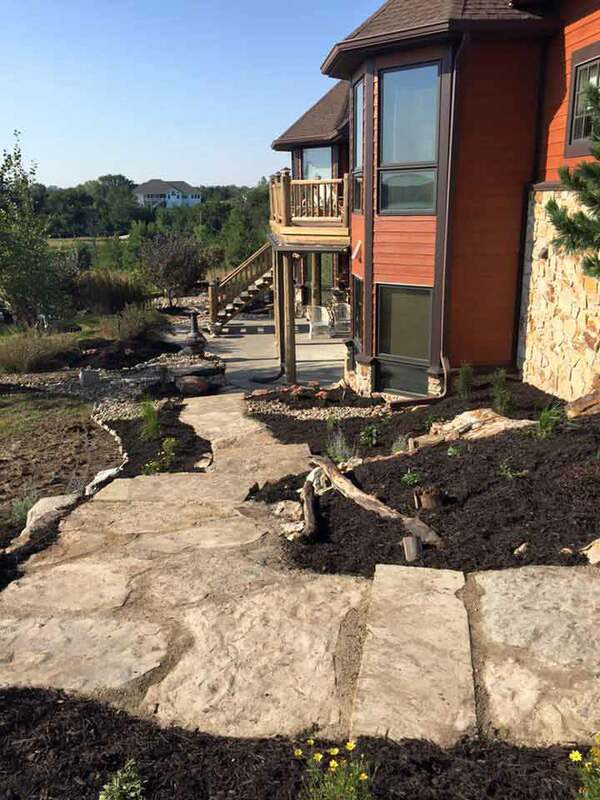 Once our landscape designer has finished with your revisions, we present you with your finalized design and begin the process of turning your dream yard into a reality! 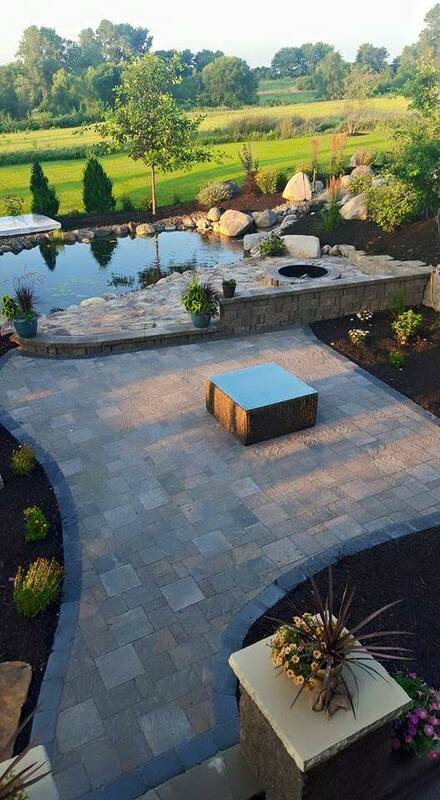 Best of all, our team takes great pride in always completing work on time and within budget. 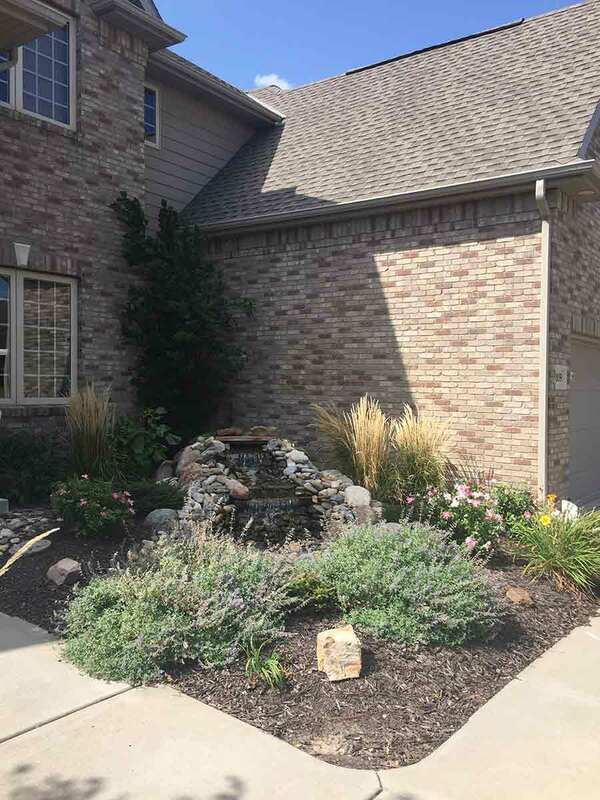 When it comes to landscaping, people are often looking for pruning and trimming services without realizing that they’re different options. 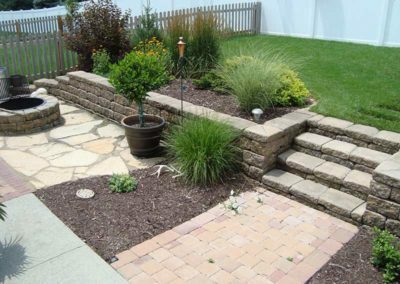 At Woodys Lawn and Landscape, we can do both for you!  So what’s the difference? 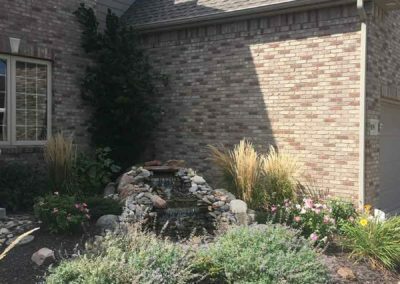 Pruning involves removing dead, loose, or infected branches and stems for the respective plant. 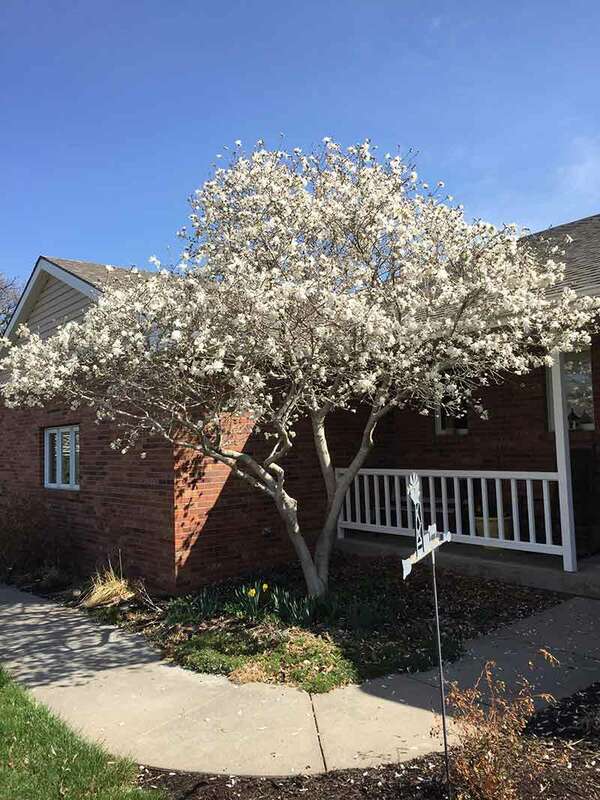 This helps to keep your plants looking great while helping to avoid any issues that a sick branch could cause if not removed promptly. 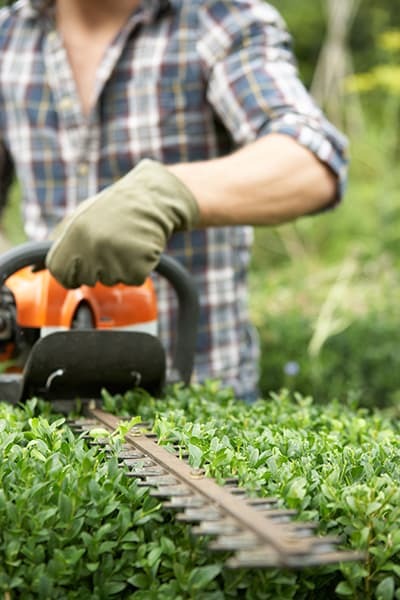 Trimming is the process of cutting back overgrowth to help reshape the bush or shrub or cut it down to a more manageable size. 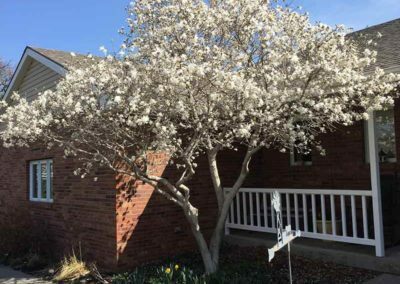 Both pruning and trimming are important because they can help protect both the plant life and your home. 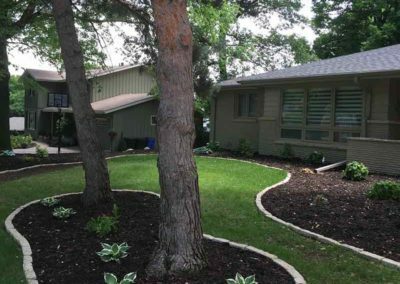 Overgrowth can be a potential hazard as weakened tree limbs can fall, causing damage. Additionally, large plants can begin to grow alongside your home, making it easier for pest to get into any openings you don’t notice and build a new home for themselves. 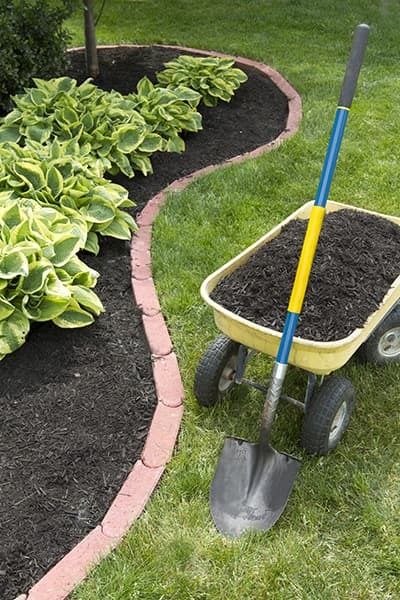 Mulching any plant beds at the start of spring is the perfect first step to protecting your larger plants over a longer period of time. 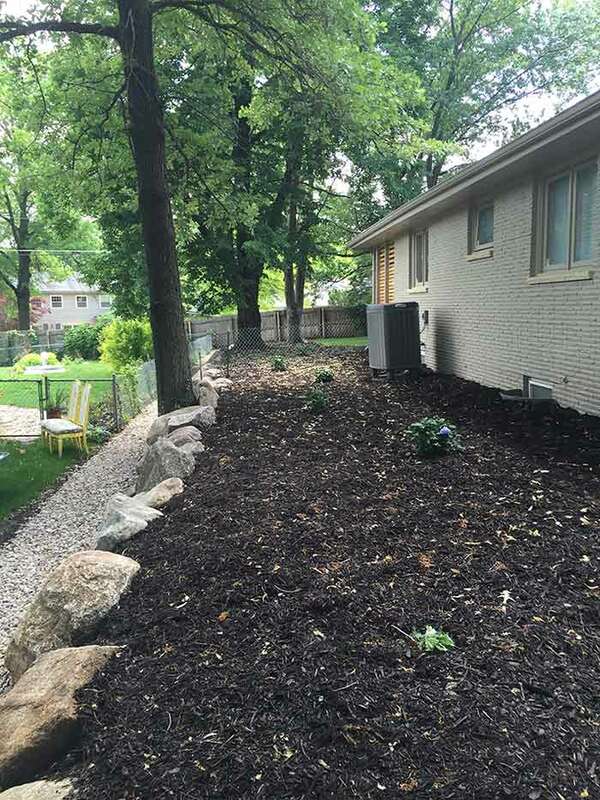 Give Woodys Lawn and Landscape a call today and let us help you put new mulch in your yard this year! 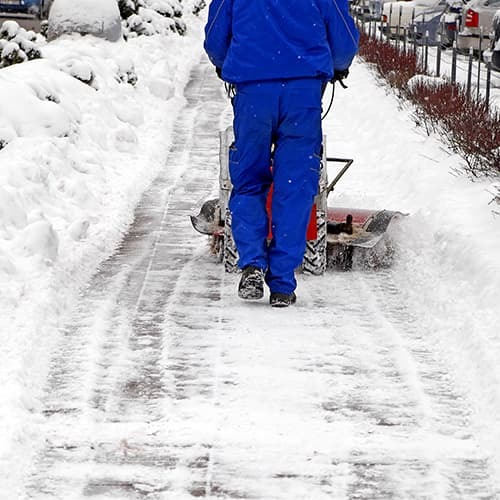 Winters in Nebraska can be rough, but one or two snowstorms shouldn’t keep you from being able to go about your business! 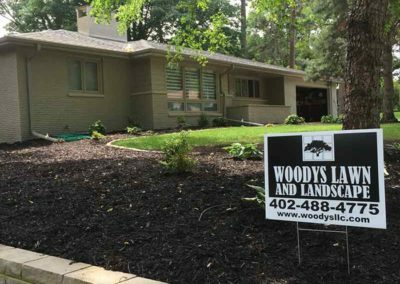 Woodys Lawn and Landscape is your number one residential and commercial snow removal option in Bennet and throughout the Lincoln area. 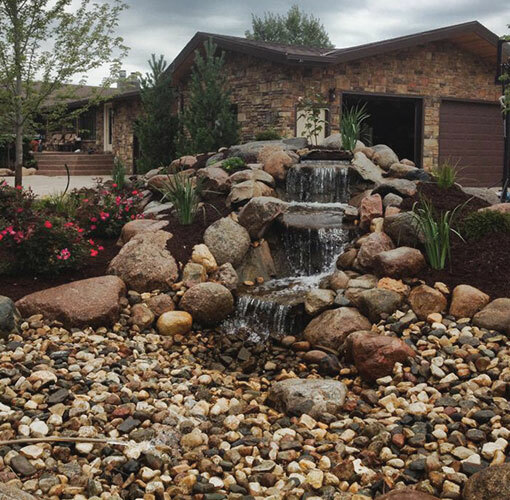 We’ll make it easier for you to get in and out of your home safely while ensuring that any employee can make it from their car to the office door without trouble! 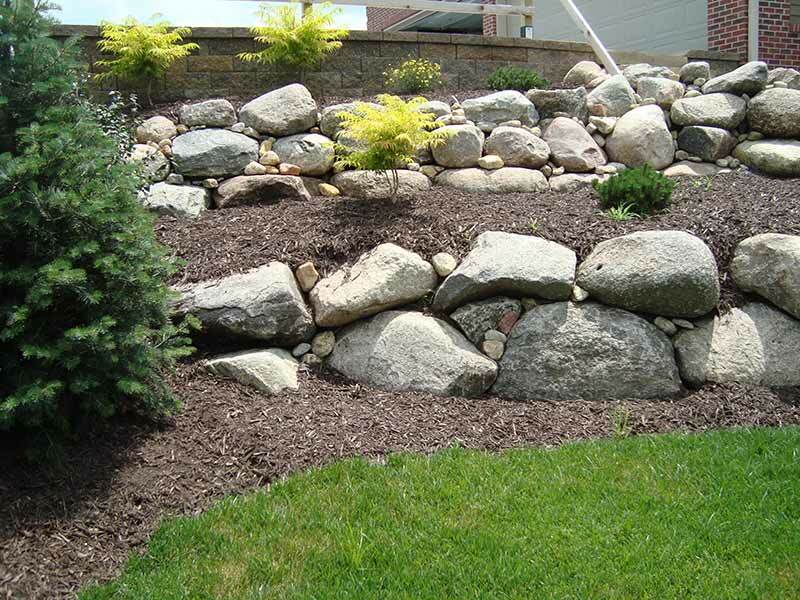 The perfect finishing touch to any landscape design comes from boulders and additional rocks! 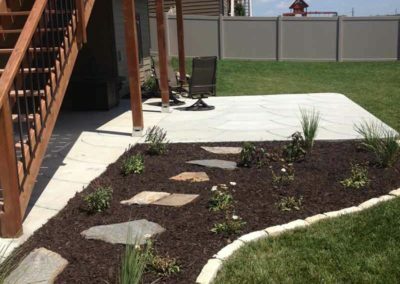 Stone features provide a more natural look and feel to any large-scale design. 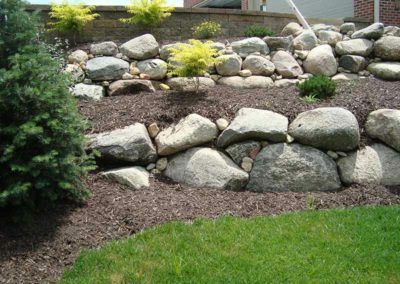 Our landscape designers work with you to determine the right size and color of boulders and rocks that you’d like to add to your design. 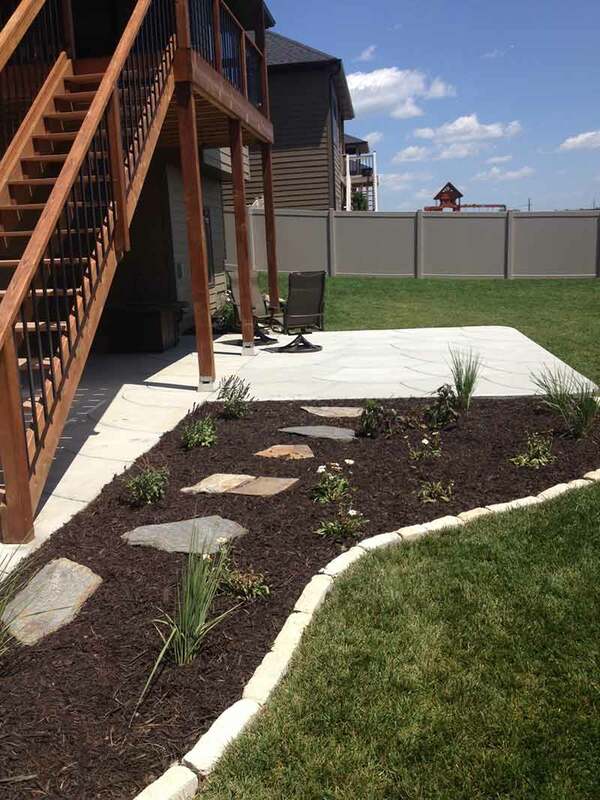 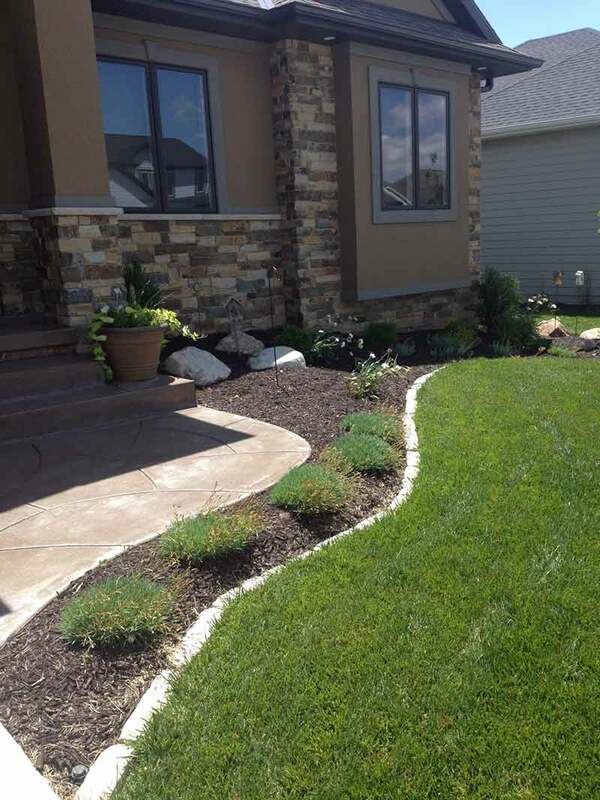 Take a look at some of the finished products of our custom landscape designs! 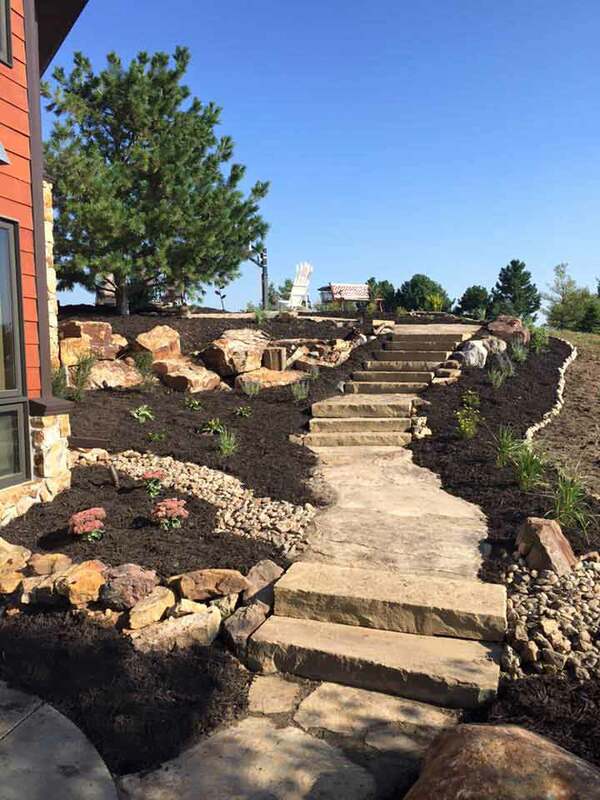 Ready to design a new landscape for your home or business? 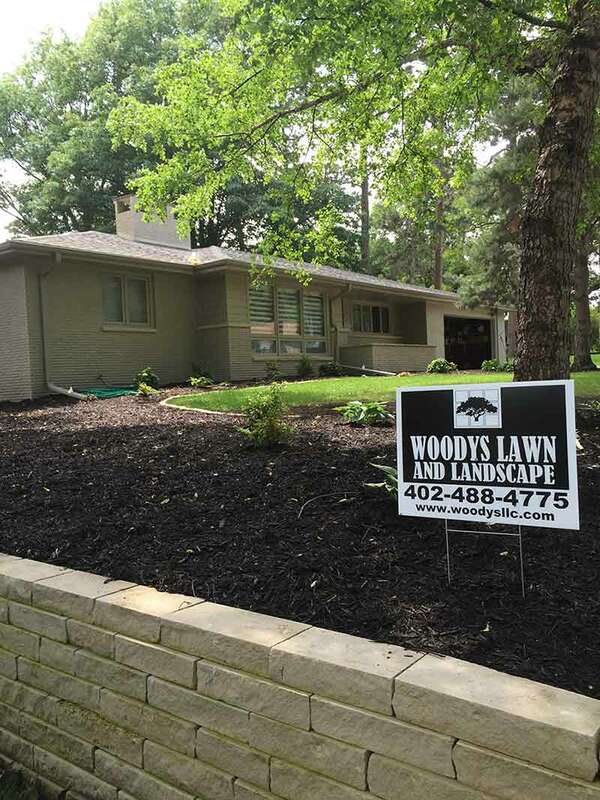 Get in touch with Woodys Lawn and Landscape! 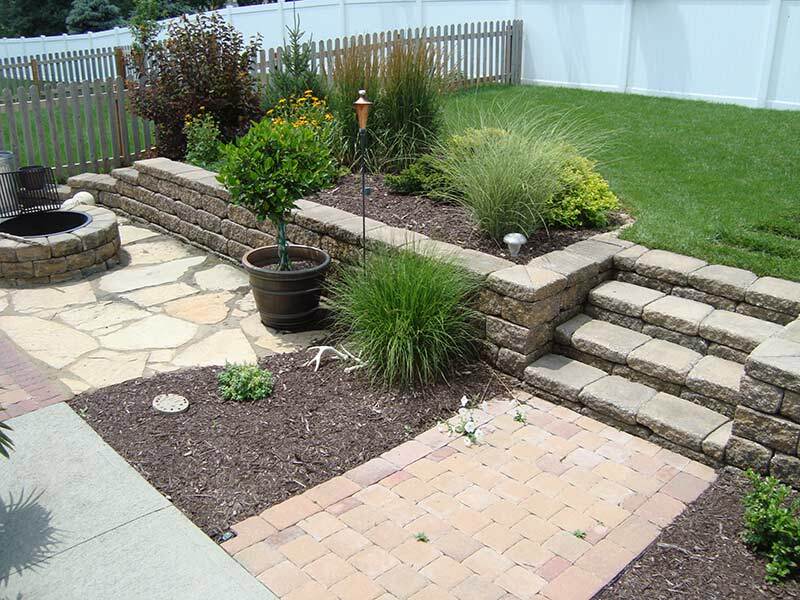 Our team is available to schedule a free consultation.